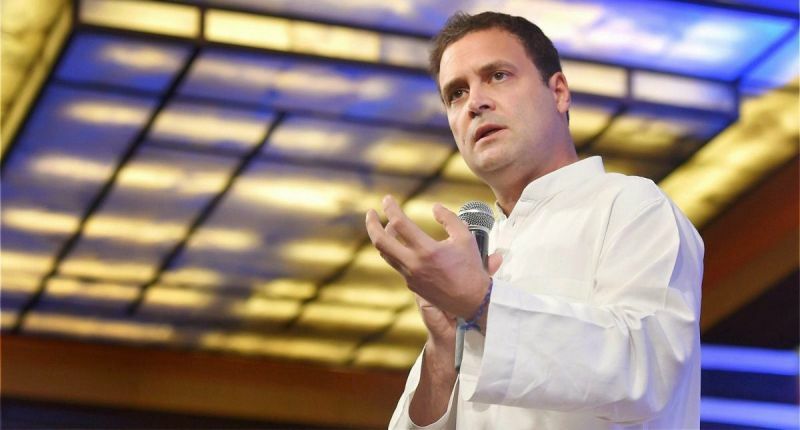 Soon after recommending the dissolution of the Telangana assembly, TRS chief K Chandrashekar Rao Thursday announced candidates for 105 seats and launched a blistering attack on the Congress, calling its president Rahul Gandhi the "biggest buffoon". Rao, who has been asked to continue as the caretaker chief minister, also claimed the Election Commission has been consulted and that Telangana would go to polls along with Madhya Pradesh, Chhattisgarh, Rajasthan and Mizoram. Branding the Congress as the "biggest enemy" of Telangana, he flayed it for making "baseless, mindless and meaningless" allegations against the TRS government. "Congress is Telangana's villain number one," he told a press conference but largely spared the BJP any criticism. Recalling how the Congress president had hugged Prime Minister Narendra Modi during the debate on the no-confidence motion and his subsequent wink, Rao said," Rahul Gandhi is the biggest buffoon in this country." He described Hyderabad MP Asaduddin Owaisi's AIMIM as a "friendly party" and said the TRS will continue to work with it. Rao, however, made it clear that the TRS would go it alone in the assembly elections and asserted it will win more than 100 of the state's 119 seats. The 120-member assembly also has a nominated member.